Farm-fresh berries make the perfect summertime snack. Just give these jewels a quick wash and eat them right away! 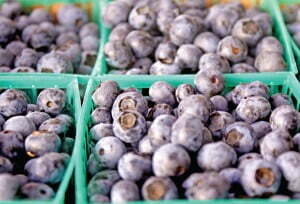 Look for blackberries and blueberries in the school cafeteria and at local tailgate markets in summer months.